The follow is a list of unsolved mysteries found through out the world. These cases can be strange, weird or just creepy. None of these cases our related to Hodson P.I. Investigative Solutions. The following mysteries are here for your reading enjoyment. If you have a mystery and need it solved, contact Hodson P.I. 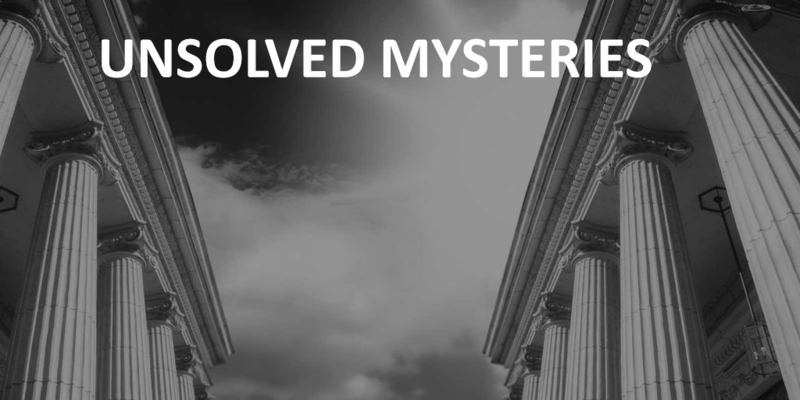 Investigative Solutions today for a free consultation over the phone. Call us today at 714-646-4545. You can also get a free online quote on any investigation by simply clicking here.